At Huber & Associates, we custom-design stainless steel roofing for a variety of structures. Contact us for a quote today! Are you looking for an eye-catching, durable and economical material for your roof? Then our custom stainless steel roofing might be just the solution you’re looking for. At Huber & Associates, we design custom stainless steel roofing for a variety of structures. Contact us for a quote today! Huber & Associates has more than 40 years of stainless steel roofing experience. We have worked on everything from historical properties to innovative modern buildings that challenge the idea of what a roof can be. Over the years, we have expanded our capabilities and embraced new trends to offer complete solutions for every customer we work with. Everyone on our team of stainless steel roofing specialists is passionate about providing you with the solution your project requires, whether that’s a custom stainless steel roof for a newly designed museum, major repairs to an existing roof or an entirely renovated roof for a valued historical building. Keep browsing our website to see examples of our work and to read the detailed case studies posted on our blog. Alternately, if you would like to arrange a consultation with one of our team members, please contact our head office directly by calling (828) 275-7678. Many people associate stainless steel roofing primarily with warehouses, factories and other types of industrial buildings. However, for the past century, it’s often been used in architectural design. Think, for example, of the fantastical curves of the Walt Disney Concert Hall in Los Angeles. The concave and convex forms are reminiscent of the sails of a ship billowing in the wind — and what better material to depict it than stainless steel? Currently, there’s a growing interest in the use of stainless steel in modern architectural applications. Many high-end homes, corporate offices, museums and airports have used stainless steel to create eye-catching roofs and other ornate features due to its malleability and durability — not to mention its aesthetic characteristics. Stainless steel, both as an exterior construction material and a roofing material, reflects the sky and surroundings, giving it the ability to transform its look as the weather and seasons change. Durability: One of the biggest benefits of stainless steel roofing is its ability to withstand rain, snow, corrosion, impacts and other forces that damage less durable building materials. Stainless steel roofs excel in all weather conditions, are fatigue-resistant and can be counted on for long-term performance with a minimal amount of maintenance. Easy to repair: When repairs are required, replacing a section of a stainless steel roof is easy, fast and cost-effective. This ensures significantly reduced maintenance costs over the lifetime of a new or renovated roof. Environmental friendliness: Most stainless steel in use today is made from recycled and recyclable materials. With a stainless steel roof, you’re not only buying a responsibly sourced product, you're also purchasing one that can be salvaged and repurposed at the end of its lifespan. In addition, stainless steel roofing is highly reflective. This prevents heat from building up in your building and reduces your reliance on energy-consuming cooling appliances — and it reduces the costs associated with maintaining a cool interior air temperature. Flexibility: Stainless steel is relatively lightweight, which means it can be installed on top of an existing roof with little modification. This greatly reduces the time and costs associated with roof installation. Versatility: Stainless steel is highly malleable and easy to work with. This makes it possible for stainless steel roofing specialists to create innovative moldings, cornices and other attractive design elements that will set your building apart from its neighbors. When it comes to renovating roofs with intricate design elements, it also facilitates the reverse manufacturing of elements that may have been damaged or lost over time. Affordability: Stainless steel costs a fraction of copper while offering many of the same characteristics. As a result, it is a great choice for ornamental metal roofs. Let a Huber & Associates representative price out both options and help you make an informed decision. Safety: Stainless steel offers significant safety compared to other roofing materials, especially during hurricanes, severe storms and fires. It’s able to withstand wind gusts as high as 180 miles per hour. And since it’s inflammable, it can resist high temperatures during events such as forest fires. If you’re considering replacing the roof on your home or business, or if you’re building a new property from the ground up, stainless steel is a great choice that offers high quality and exceptional versatility at an affordable price point. Stainless steel qualifies as a historical roofing material. It was first used in roofing almost a century ago, in 1924. It was a staple of Art Deco design, including in the Chrysler Building in New York City — a building that’s famous for its shiny needle, crown, entrance doors, and gargoyles that are all made of stainless steel. It’s interesting to note that this world-famous building was used experimentally by stainless steel producers to test the durability of the metal for architecture. The stainless steel panels on the building were inspected every five years for damage caused by environmental stresses. However, by 1960, minimal deterioration had been found, so the testing was discontinued. Clearly, stainless steel is highly durable — and it’s thanks to this durability that many historical structures with stainless steel roofs remain in place today. Only in recent years has a need arisen for stainless steel roofing restorers with experience working on heritage buildings. If you need to redo your historical stainless steel roof or even simply have repairs performed on it, the team of stainless steel roofing specialists at Huber & Associates is proud to be of assistance. With more than 40 years of experience, an outstanding track record and several highly respected awards, we’re qualified to perform historically accurate stainless steel roofing restorations and repairs. Regardless of the project, we always go out of our way to create custom sheeting and features that stay true to the look and feel of the original while adding modern architectural upgrades when necessary. 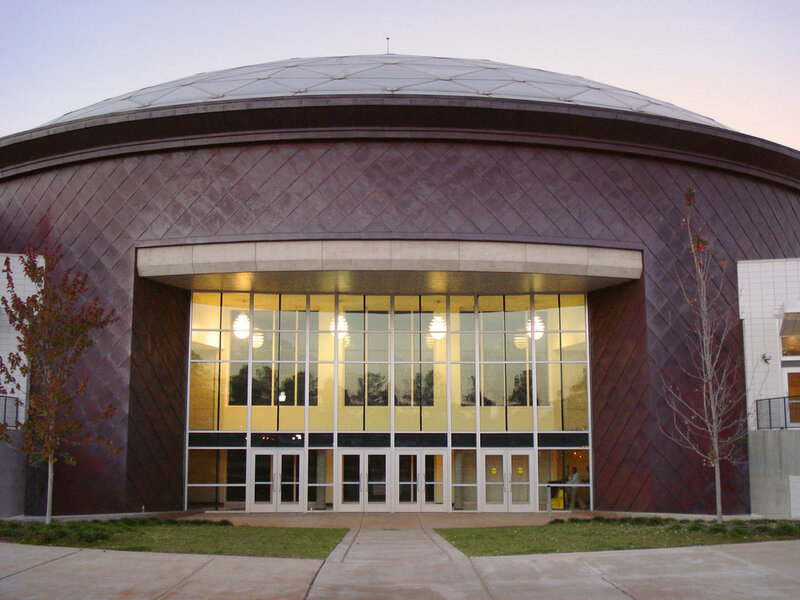 Whether you need to restore an aging building or are considering modifications to an existing structure by adding a stainless steel roof, we can help bring your vision to life. We work closely with architects and designers, providing the focused expertise necessary to create attractive ornamental roofs that meet both your structural and aesthetic requirements — while never losing sight of your budget requirements. At Huber & Associates, excellent communication is at the core of everything we do. Before beginning your project, we have a conversation with you to ensure we fully understand your vision for the project as well as your technical, financial and timeline requirements. We provide accurate quotes and deliver a high quality of work on every job, whether it's big or small. Our team is highly respected in our industry and includes several stainless steel roofing specialists, including a number of historical experts. Make us your first call for repairs, restorations and new construction. We have offices in Florida and North Carolina and are available to take on jobs throughout the Southeast U.S., as well as in other areas of the country and internationally. To get started, please call our office and request a quote. We are happy to consult with you and provide a detailed estimate outlining all work and its associated costs. You can reach us at (828) 275-7678 for immediate assistance.